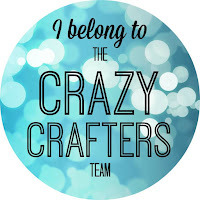 The Memories in the Making Project Lift Specialty Card Collection (FREE in Sale-A-Bration) is beautiful - it is a combination of resist cards and metallic printed acetate cards. I decided to use one of the printed acetate 4"x6" cards in a shaker card. The base card is Lost Lagoon and the stamped layer is Pool Party. There's a very small edge of Blackberry Bliss framing the gold-printed acetate. I stamped the flowers with Blackberry bliss onto Perfect Plum cardstock and watercoloured them with Lost Lagoon. The largest flower has a centre of gold Wink of Stella and the others have a sequin centred with a Rhinestone Jewel. 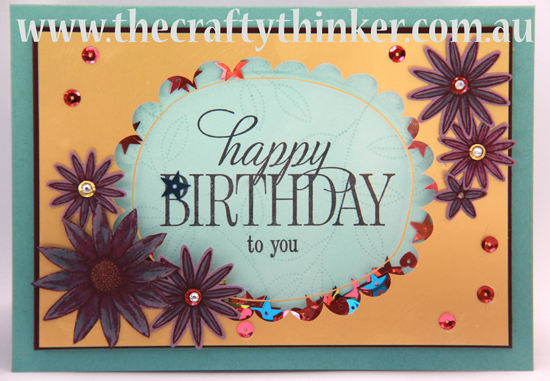 I stamped the leaves from the Grateful Bunch set with Versamark onto the Pool Party layer to create a very subtle background and the greeting from Happy Birthday Everyone is stamped with Archival Black ink. The two gold sequins are from the Metallics Sequin Assortment and the others are from the Brights Sequin Assortment. 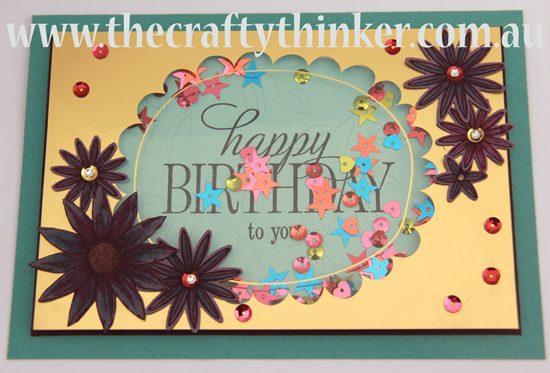 A few sequins adhered to the top of the card with the Fine Tip Glue Pen "blend" the inside and outside of the shaker. I've included some dimensions below. Lost Lagoon: 9 1/2" x 6 3/4"
Blackberry Bliss: 6 1/8" x 4 1/8"
Pool Party: 5 3/4" x 3 3/4"
Printed Acetate card: Untrimmed 6" x 4"